Trial alongside Huawei is first UK end-to-end 5G network test, paving the way for superfast networks. EE has taken the UK a step closer to 5G networks with what it says is the first successful end-to-end network test. The operators says it has partnered with Huawei and BT to carry out the test at its mobile lab, with the network delivering consistent download speeds of 2.8GBps. EE notes that the test is a major step forward for 5G networks in the UK as the country’s operators attempt to be ready for expected public launches in 2020. 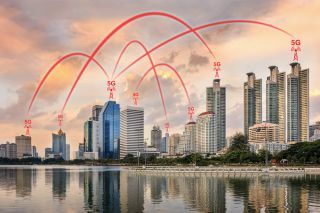 The test saw EE link its fully virtualised 5G core to 100MHz of 3.5GHz test spectrum via the proof-of-concept Huawei 5G baseband unit, utilising a 64x64 Massive MIMO active antenna unit broadcasting 5G New Radio.